Pac Man is my spirit animal. Okay, not really. But as a child of the 80’s, video arcade games were a huge cultural phenomenon of my formative years. 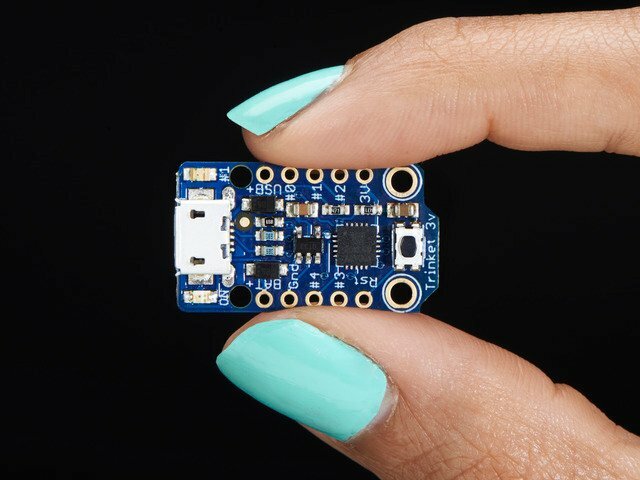 Tiny affordable microcontrollers are a cultural phenomenon of today’s generation. 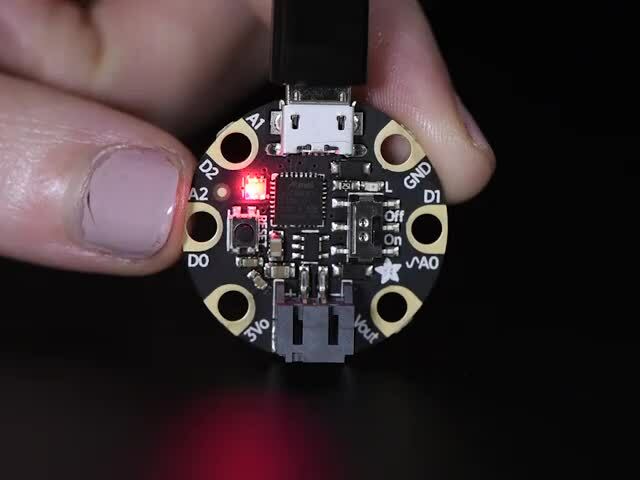 This project bridges the generations to create an animated LED necklace or charm that you can customize to create a retro-style personal “totem video game creature.” It’s a small project, good for electronics novices and group workshops. And you’ll have something eye-catching to wear and show off afterward. 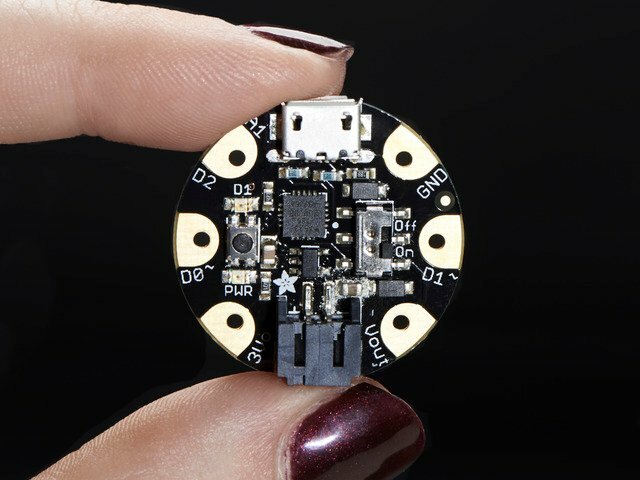 Adafruit Gemma M0, Trinket M0, Trinket Mini or Gemma v2 microcontroller board (if Trinket, either the 3.3V or 5V type works). We recommend using the Gemma M0. Lanyard to create a necklace. This should be non-conductive — plastic lace (the sort used for weaving bracelets), rubber necklace cord or heavy fishing line all work. A pin back (such as our magnetic variety) is another possibility. 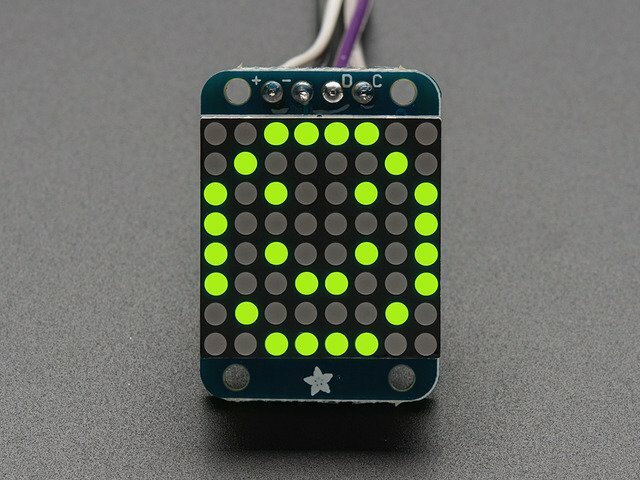 Optional: momentary pushbutton to activate the animation. Or you can just use the tiny reset button that’s built into the Trinket or Gemma. Optional: If using Trinket, a bit of heat-shrink tube is best for covering some connections; it’s cleaner than alternatives like tape. 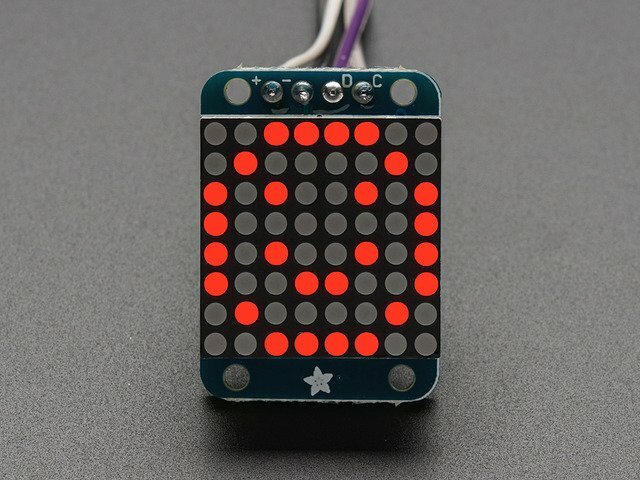 Can I use a “small” (1.2 inch) LED matrix instead of the “mini” (0.8 inch) version? Sure can! 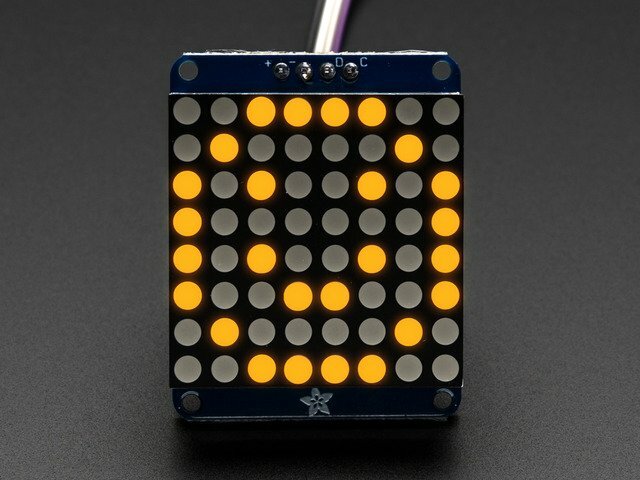 Just be super extra careful to follow the assembly directions in the LED Backpack Guide and install the matrix the right way on the board. This is a common mistake! 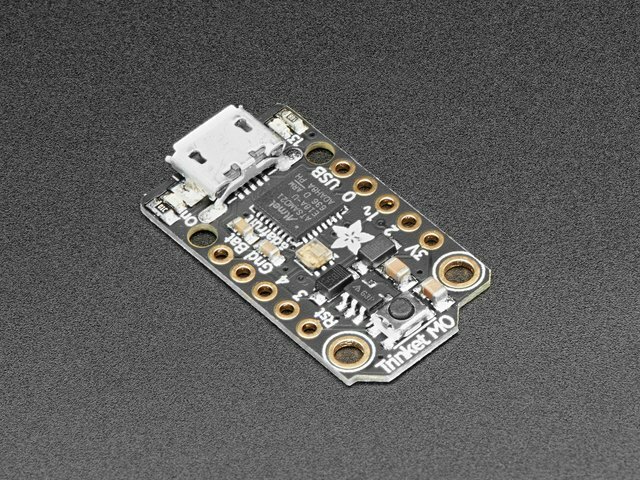 The “mini” matrix is recommended for this project because it’s less troublesome for beginners. Can I use other color matrices? Can I use the bi-color matrix backpack? Yes it will work but you will have to adjust the bitmaps and code to handle the extra rows (it appears like a 16x8 matrix to the driver chip), we don't have a tutorial for that but mechanically, the wiring is the same. This guide was first published on Oct 01, 2013. It was last updated on Oct 01, 2013. This page (Overview) was last updated on Apr 24, 2019.